You can put it on the board – the inaugural season for Concord’s pro baseball team, the New Hampshire Wild of the Empire Professional Baseball League, has come to an end. Quite fittingly, the team called Wild had a pretty wild season for themselves. They started out strong, going 12-5 over their first 17 games. Then they hit a rough patch, losing eight in a row to put them at 12-13 heading into the all-star break. Wild manager Scott “Nate” Nathanson managed one of the all-star teams, the team that won, and Wild second baseman Steven Figueroa was named the all-star game MVP. They carried that momentum into the second half, going 12-6 the rest of the way to finish the regular season at 24-19, good for third place in the six-team league. 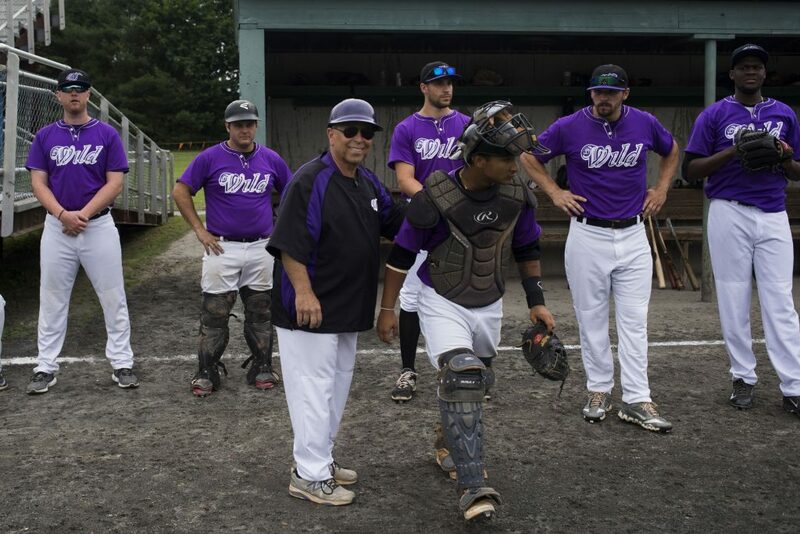 The Wild suffered a heartbreaking loss in the playoffs to the Puerto Rico Islanders, a 12-inning, 1-0 grinder that Nathanson said was “a fantastic game to be a part of.” With the loss in the single-elimination format, the Wild’s season was over. Their final game, the loss to the Islanders, was Aug. 10. There was no shame in losing, though – the Islanders went on to win the championship in a best-of-three showdown with the New York Bucks, the team that finished the regular season in first place. For Nathanson, though, the whole thing was a success. “We finished strong,” he said of his team, made up of players hoping to move up the ranks of pro ball. “It was a tremendously played game that showed very well for the league,” he said of his team’s playoff loss. In a league such as the Empire Pro League, the final standings are ultimately of less importance than the development of the players. “As far as the players go, at this point, five of our players have been signed to play in higher leagues,” Nathanson said. Matt Vogel, a right-handed pitcher, is now pitching for the New Jersey Jackals of the Can-Am League. Figueroa was signed to play in the Atlantic League, the highest independent league in the country, by the York Revolution. Righty Justin Lemanski, Empire League reliever of the year, signed with the Quebec Capitales, also in the Can-Am League. Pitcher Benny Collesano signed with the Sussex County Miners of the Can-Am League, and Brandon Madden, the 6-foot-9 lefty pitcher, is now pitching for the Lake Eerie Crushers in the Frontier League, one of the top four independent leagues in the country.